The grounding of the higher cosmic light into and upon the planet has moved into its next phase. Those who have been doing this work are now moving into position to offer divine truths to those who now awaken. The awakening ones come to seek that which they need to bring them into a quicker integration with the new energies and the new consciousness. As beacons of the higher light and truth, the lightworkers of the world are working together at the higher levels of being to coordinate their efforts. In unity, they work on the transformation of the planet and all her inhabitants to proceed in a way that allows the opening of consciousness and awareness in the greatest number of souls. It is the time to make learning fun and enlightening at the same time. Many of you who have established your spiritual presence and credentials are now able to do this with a greater ease and grace. As the universe works with you, through you and for you, synchronistic events take place in miraculous and truly magical ways. The old world structures continue to crumble and decay because the new and higher energies no longer support them. You are seeing evidence of this every day and there is now a desperate attempt to maintain them through the methods that used to work before. Those who employ these methods will not succeed in their efforts, for the structure to maintain this effort is no longer viable. It is the spiritual perspective which now comes to the forefront of consciousness as people become aware that there is more to life on Earth than they previously believed. The intensity of their spirit seeks to manifest through them into the world and as this occurs, their hearts open to greater understanding and perspective. The energy and power of love creates powerful awakenings to blossom from within. As people feel and express more love, joy and peaceful intention towards one another, a higher expression in interaction with each other becomes commonplace. As people let go of the limiting concepts of duality such as division, enmity and competition and begin to express the higher qualities of their soul, they see that life returns to them what they themselves put into it. They enter into a new phase of living in alignment with spirit and the divine within. This movement frees them and creates a greater degree of expansion and an expression of new creative energy and consciousness. They begin to see their life filled with unlimited opportunities to express their unique soul qualities, talents and abilities. They see that they can choose their life experience to manifest for them in ways they previously did not imagine. This in turn creates greater harmony within them and as this personal harmony radiates outwardly, it creates a joyful interaction with the world and this brings them a sense of greater fulfillment in their personal endeavors. As their understanding increases in the process of bridging and uniting two realities, they find new gateways of truth which touch all facets of their lives. These in turn, create a lightness of spirit, bringing joy and laughter and a greater awareness of the richness that lives within them. They feel the joy of creation as they manifest the wealth of knowledge, experience and understanding that lies within them and they share it with the world. As the collective wonders that they hold within them are brought into the light of their new consciousness, it begins a new phase, a new birth into a greater reality which empowers and enriches everyone. The seeds of love and wisdom emanating from within their being are planted within the collective consciousness to heal, bless and enable their sisters and brothers to move into the new reality with them. As life unfolds in the new consciousness and reality, there is a greater unity with all beings that takes place. There is also a greater respect and reverence for the divinity within each human heart and this will facilitate a greater desire to serve others in some capacity. As they align to their divine essence and follow the guidance and promptings being given, their world opens to new dimensions previously unimagined. New vistas open before them which pave the way to ever greater perspectives of the infinite richness of the universe that they dwell in. They also understand that they have only touched the surface of the infinite well of abundance that comprises their individual spirit and that there is more that can be made manifest. As they find the courage to share this with others, more knowledge at ever deeper levels becomes available through them to go out into the world. Notice is hereby given that the creation of videos by people other than the author/channel/scribe of any messages from this author/channel/scribe is prohibited unless authorized by her. 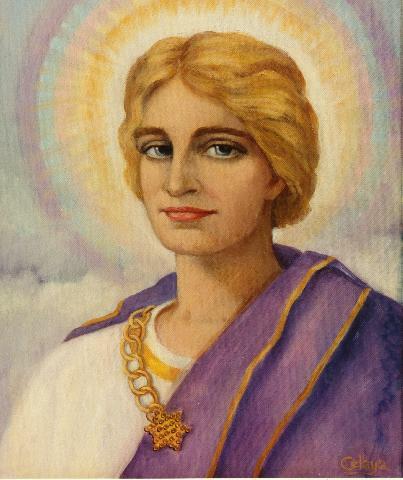 This is in cooperation with Hilarion and the Legions of Light who work with him who have informed the author/scribe/channel that they are embedding and transmitting higher energies and frequencies into the written and spoken words that come through this channel in relation to the messages that are transmitted through her.